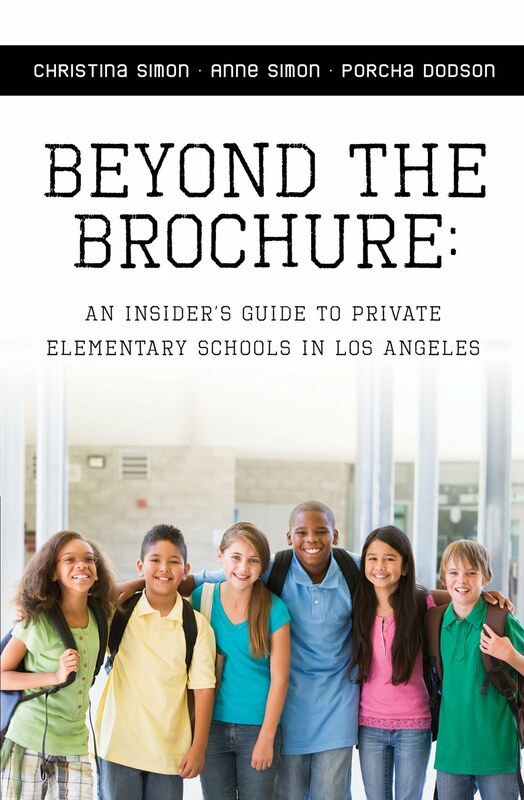 We are giving away3 FREE copies of Beyond The Brochure: An Insider’s Guide To Private Elementary Schools in Los Angeles! Enter to win a copy. It’s easy! 1. Just leave a comment telling us why you need this book. Or, why you want to give it to a friend or even your preschool director! Comments must be posted by 5:00 p.m. on Wednesday, June 30th. 2. You must leave your name and email address so we can contact the winners. 3. The winners will be selected randomly. Good luck! I would love to win this book. My friend just moved to the L.A. area from San Francisco and will begin the process of applying for schools this year! This would be a great big help to her.I am in O.C. so I'm not too much of a help, but your blog has been invaluable! I would use this book to help match my active, bright daughter to the best school so that she continues to devour new ideas! I would love to win this book. 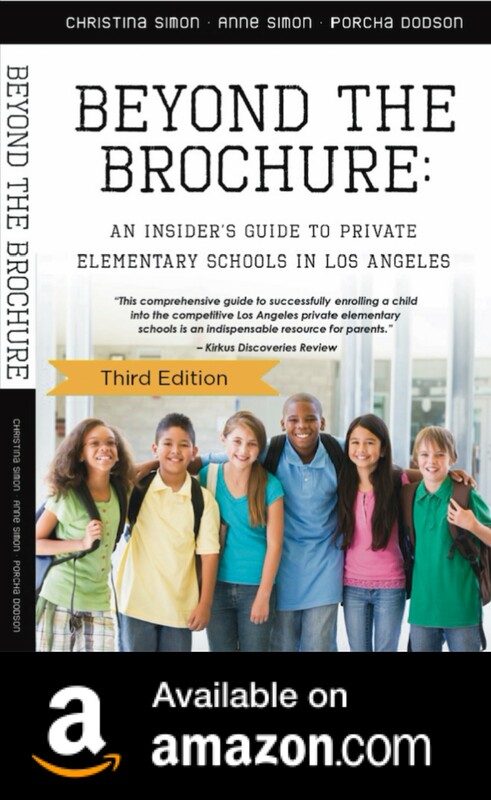 I currently live in LA and in the process of evaluating schools in the area. I am looking to find a good fit for my children. I would use this book to start the process of determining what is the best next step for my child after pre-school. Just because the tuition is the most, does that really mean that that the school is the best? We really need some help and guidance! I could definitely use this book. It's so overwhelming trying to find the right school for our kids and we do the best that we can, but this can certainly provide some guidance. I'd love to have this book – we're thinking about where to move next (from a condo to a home) and proximity to schools (not just public, but private) is a key consideration. Your book would be a great help as I navigate the school choices for my three preschoolers! We are trying to determine the best fit for our twins and their little brother- all of whom will be entering elementary school in the next two years. We would love to have this book to help us choose the right school for our children (3-1/2 and 1-1/2 year old). Thank you for sharing this kind of information and advice. School is the hot topic in our mommy & me groups and our little one's music classes and playgroups. We all feel a little clueless and would love to read your book. With a 14-month old girl, I am very interested in making sure she gets the best possible education. Thanks! My son has special needs. Whilst we are lucky to live in a good school district, the reduced budget and increased class sizes leaves him without an aide for support and with class sizes that would, on a sensory level, affect his ability to access the education being offered. He has also been assessed to be highly intelligent and needs an environment that would cater to this. I'm not saying this to brag…just stating that this combination with his special needs, leaves me no choice but to source a private school. I know that in the right environment he will flourish and this book would be a great resource to see my options as at this point I have no other choice but to home school. I know there are schools that cater for children that are highly gifted yet need smaller class sizes and I'm hoping that I might find the right fit for my son in this book. Thank you for putting together a great resource for parents.